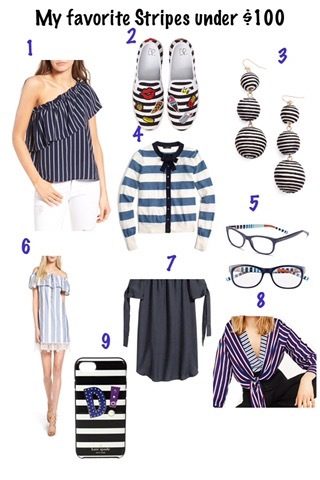 I could wear stripes for days! Stripes are a timeless style in my opinion, they will always work in your wardrobe No. Matter. What. Aaaand they just happen to be a big hit this spring. Below are some great things I found for under $100! These were just a few, there are so many cute stripe pieces out there right now…I’m thinking of creating another board just on stripes! !